Conveniently nestled on lavishly landscaped grounds in the Fayetteville, Arkansas, The Reserve at Steele Crossing is an apartment community that offers an unparalleled atmosphere of sophistication, luxury, and style. 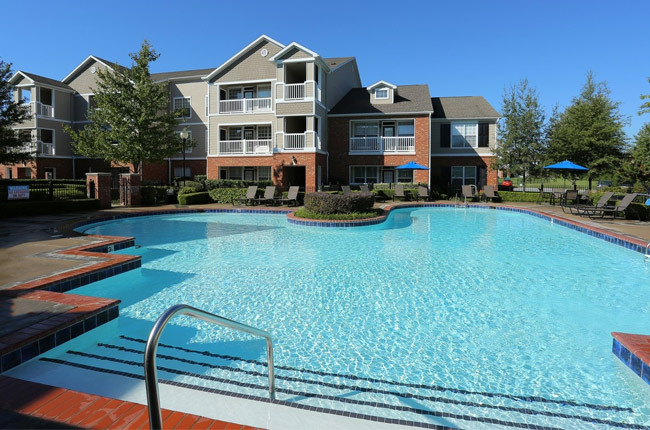 Whether you choose a one, two, and three bedroom apartment home, each apartment boasts high-quality touches such as elegant vaulted ceilings, stunning crown molding, custom interior color schemes, and beautiful French Doors that lead to your very own patio or balcony. Live life the way you would on a resort-style getaway with our sparking swimming pool with expansive sundeck, a 24-hour health and fitness facility, and a 24-hour Wi-Fi Café. Call and schedule your tour with the friendly and professional leasing team at Reserve at Steele Crossing in Fayetteville, Arkansas, and discover how this luxurious apartment community can be part of your everyday lifestyle! Located on North Fern Creek Place, Reserve at Steele Crossing offers our residents all of the conveniences of living in Fayetteville. We feature close proximity to Northwest Arkansas Mall, a shopping destination that boasts popular retail chains and dining options. If you prefer to spend your recreational time outdoors, you will delight in frequent trips to Fayetteville Downtown Square & Gardens as well as Wilson Park where you can enjoy a wide range of activities including baseball, basketball, tennis, and walking trails. Love live theater? When you’re a resident of our community, you will be under fifteens minutes from TheatreSquared and Walton Arts Center. Foodies can indulge in nearby establishments such as Jason’s Deli, Shogun Japanese Steakhouse, and Little Greek Restaurant. Grocery shopping will be trouble-free with access to Natural Grocers and Whole Foods Market.